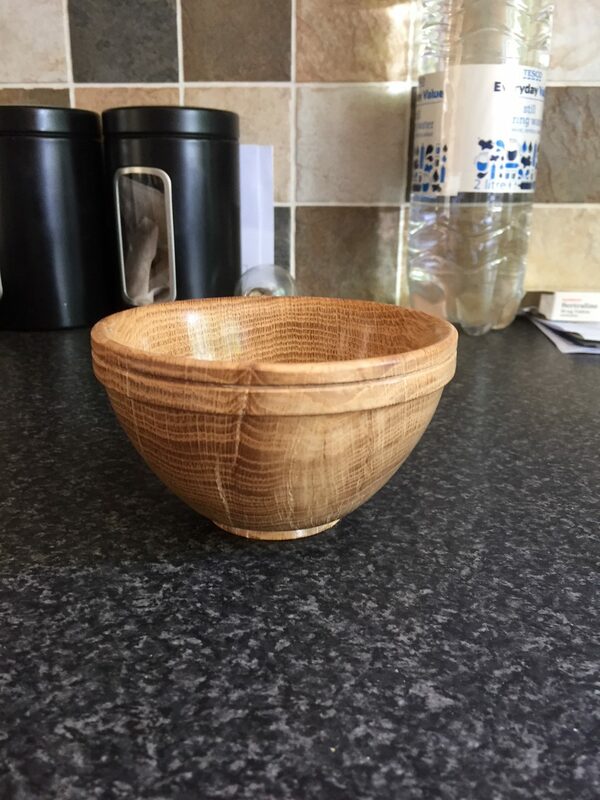 My Wood Turning Lathe Works! Why was the Wood Turning Lathe Not Working Anyway? Well, a couple of weeks ago the drive belt gave up the ghost. It was 13 years old and had begun to stretch, and stretch. Knowing that the end was in sight I bought a replacement. Confident that I could replace a drive belt on a wood turning lathe, easy peasy…. Only it was not that easy or, indeed, peasy. In fact it was diffy pissey… Very Diffy and definitely pissey – or my mood was as I tried with no luck what so ever to get the bloody circlip off. Worse still, even when that circlip was off there was another that I could not even see!!!!!! Time for the Big Hammer on the Wood Turning Lathe. I am not a patient person, I am prone to getting irked by inanimate objects that do not play nicely. I get irked by people as well, but I am on medication for that. Anyway if the Lathe was not going to respond to WD40 and circlip pliers I was going to get the lump hammer. Luckily, I am also pretty disorganised and could not find it. Facebook Rescues My Lathe, or Not. Right, the top housing of the wood turning lathe was off. The circlip was still laughing at me. I know, the great online community that is Facebook will come to the rescue. So, I posted a note of my wood turning woes, and nothing. A few days later I think of Geoff Laycock, a retired engineer and contact him. Yes, he would be happy to have a look at it. The trouble is he is a it busy restoring things and getting ready for the Chipping Steam Fare. So I give the lather housing to Geoff and he agrees to do his considerable best. Oh yes, FB was not quite a wash out as Matt Pennington phoned to offer his help. Matt is a Good Bloke. GBs are worth their weight in gold as they are always willing to help. Added to that Matt is very practical. I tell him the problem, the circlips have not been off the spindle in 13 years, no sign of any movement. There is an almost audible sigh of relief when I say that the housing is with Geoff. The Drive Belt is Replaced! Geoff phoned to say that he had finished and all was well. Hot foot the housing is brought back and the woodturning lathe is put back together. With trepidation I turn it on. And it works better than ever! But, the proof of the pudding is in the eating…. So nice, only small but beautiful! 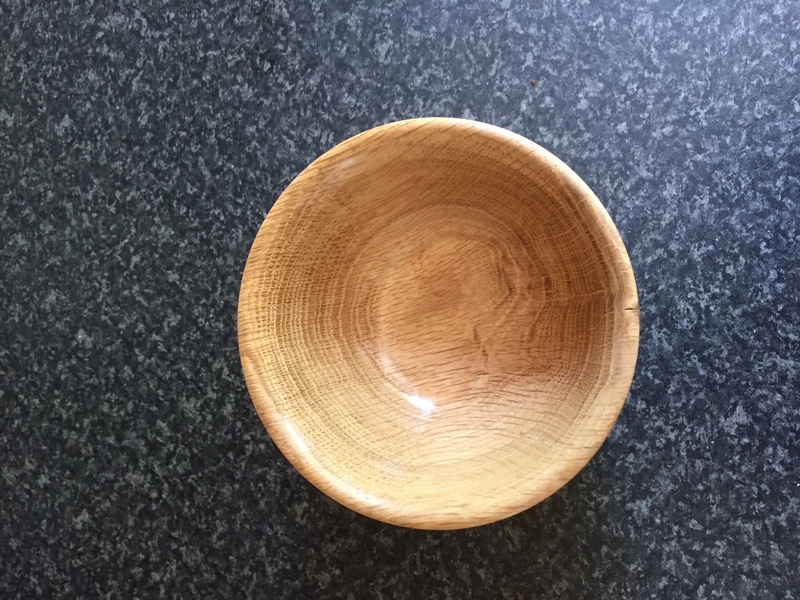 The first test is a small, but nice Oak bowl. Not the most spectacular piece, but I am still so proud! My Woodturning pages are here.